This software solution is developed by ESET, which is one of the leaders in the field of the protection of your information. ESET is the first antivirus company, which was used in their products technology ThreatSense ®. At the core of this technology is a powerful mechanism evresticheskogo analysis, which can detect threats, are not in the base antivirus. The core of the program includes tools to detect potential threats of all types, and also allows to treat the infected files. Another advanced technology is the technology of HIPS (Host Intrusion Prevention System), which is a system of protection against unsolicited attempts to provide external influences that can put the safety of your computer at risk. Line filter in combination with behavioral analysis technology allows HIPS produce quality monitoring processes and changes in the registry, which provides protection from outside intruders. NOD32 Smart Security mechanisms by filtering incoming information also provides protection against spam. Some of the e-mail programs that are tightly integrated with the Smart Security includes Mozilla Thunderbird, Outlook Express, Microsoft Outlook, Windows Live Mail, Windows Mail. In addition to spam, the software solution can help you avoid most of the external attacks. Low-level scanning of traffic can create a built-in firewall protection from external threats. 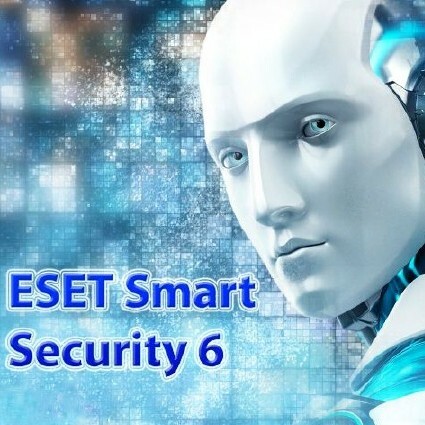 ESET’s products have always been known for its performance, and NOD32 Smart Security revealed that the company continues to uphold its reputation. The work program, as well as scanning and updating processes occur not only fast, but with minimal impact on your system. It should be noted that the developers do not forget about the appearance of the program. With each new version of the interface software products ESET strives to be intuitive, simple and efficient to use.